Lyra real-time PCR assays are an open platform solution for high throughput, high quality molecular testing to detect and identify infectious diseases. Lyra PCR assays are focused on optimizing a lab's workflow to make these tests simple and easily implemented with minimal steps, easy refrigerated storage, room temperature procedures and flexible instrumentation. 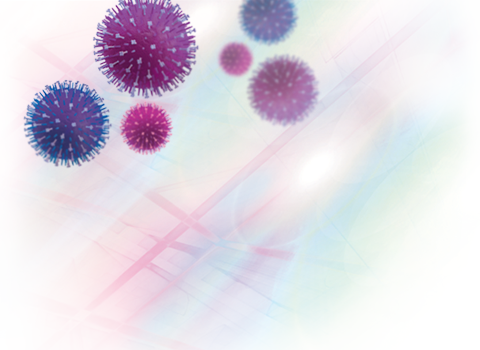 Lyra assays have been validated on the Applied Biosystems® 7500 Fast Dx Real-Time PCR Instrument, Cepheid® SmartCycler® II and Life Technologies QuantStudioTM Dx Real-Time PCR Instrument. Their easy to follow procedures, eight (8) sample allotments in a 96-test kit, and robust stability are compatible with an existing workflow. 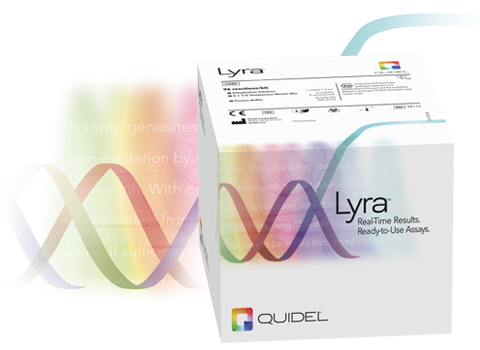 Quidel wants to help any molecular laboratory use Lyra to expand their existing test menu or bring tests in house. Lyra Direct real-time PCR assays eliminate the need for RNA/DNA purification, allowing for quick simple manual sample processing before the sample is added to the Master Mix.